We have a God who loves us as a Father. It is important that we express our gratitude for His love by giving to Him from our best and first fruits of everything including our worship, and not from our second best and leftovers. He is also our Master and therefore deserves our best service with our best attitudes as well. The Israelites, during Malachi's time, as they had done repeatedly in the past, had forgotten this. They quit honoring the God, their true hope, who loved them so much. 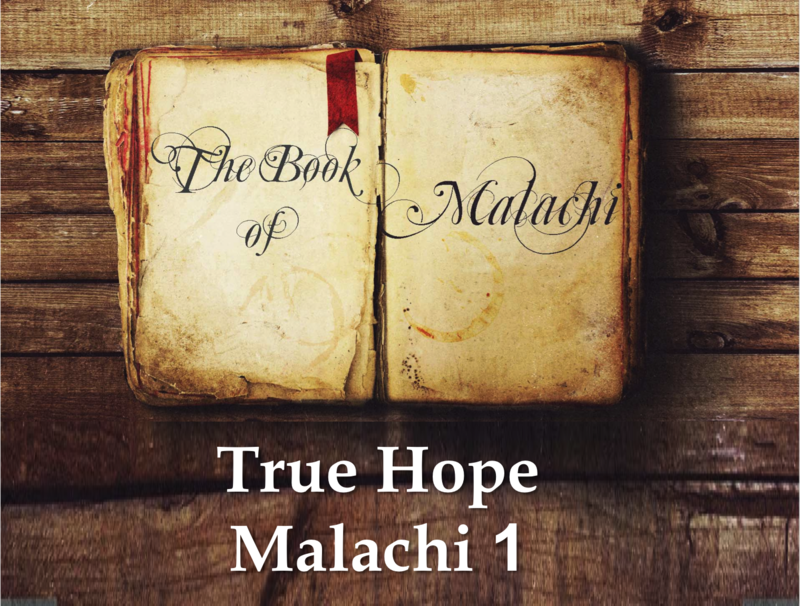 This is where we begin our Explore the Bible study of Malachi this week. God was Israel’s Heavenly Father, yet He was receiving no honor from them. He was Master of the universe and of His people, but they showed no fear of Him. I pray this study will help you and your group evaluate your faithfulness to God and determine if there are areas in which they need to make adjustments to honor the God who has given them so much hope!